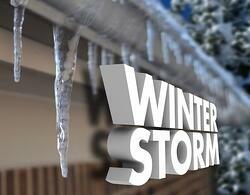 Winter storms often come with extremely low temperatures and also strong winds, icing, and sleet. This makes them hazardous and dangerous. Regardless of how severe an expected storm might be, you should always be prepared. Change your filters now, before your system goes into overdrive. This also helps with airflow putting less stress on your system. Use space heaters and ceiling fans to further disperse heat throughout your house. Clear all snow and ice off of your outdoor units if you can, as this allows for much better air flow. Close off rooms that are not being used, and place door draft stoppers under the doors to further contain the heat in your home. A rolled towel can also act as a draft stopper. Consider buying a protective cover for your outdoor faucet; these are often the cause of frozen lines. Keep all indoor plumbing lines running at a drip - a burst pipe is no fun to deal with. Bundle up; layering is very effective. Nothing is worth having a an accident in inclement weather. Stay off of the roadways as much as possible. If you find yourself in a heating emergency without heat, contact Total Comfort Mechanical for assistance. We will get your system running and get you back in Total Comfort.